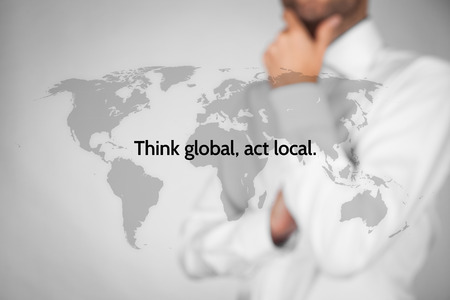 Think global, act local. Globalization business rule. Businessman think about this rule.